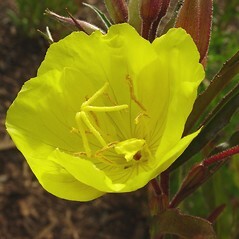 Narrow-leaved evening-primrose is native to eastern North America but rare in New England. 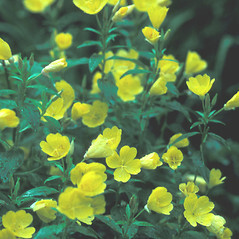 There are two subspecies in New England that differ in habitat. 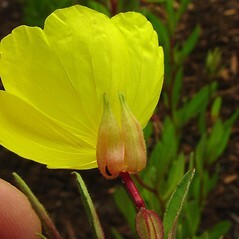 One (Oenothera fruticosa ssp. 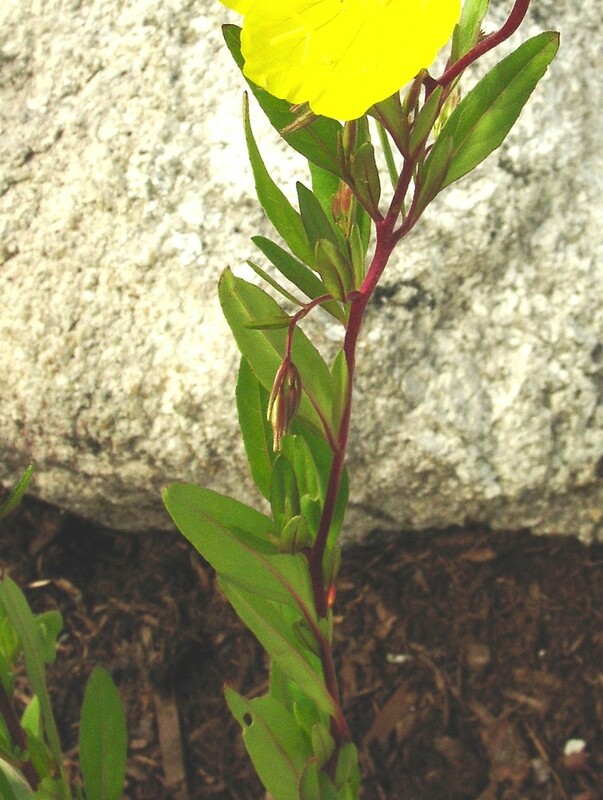 fruticosa) is rare and known from Connecticut and Massachusetts, where it inhabits the edges of salt marshes, brackish ponds and brackish tidal rivers. The other (O. fruticosa ssp. glauca) is more often found in dry, open, sandy habitats inland from the coast. petals 3–10 mm long, style 3–10 mm long, anthers 1.5–2.5 mm long, and inflorescence of scattered flowers, the axis and apex commonly drooping in bud (vs. O. fruticosa, with petals 10–25 mm long, style 12–18 mm long, anthers 4–7 mm long, inflorescence relatively more compact, the axis and apex commonly erect in bud). sepal appendages mostly 1–4 mm long and divergent, capsules linear-elliptic or elliptic to narrow-clavate in outline, sessile or short-stipitate, and plants conspicuously pubescent with hairs mostly 1–3 mm long (vs. O. fruticosa, with sepal appendages mostly shorter than 1 mm and erect, capsules clavate to obpyramidal in outline, stipitate, and plants subglabrous to sparsely pubescent with hairs mostly shorter than 1 mm). 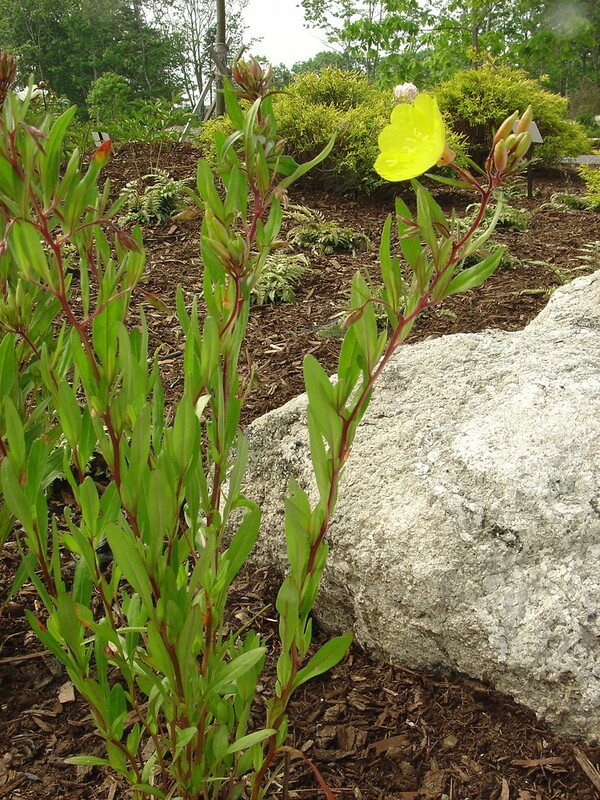 Oenothera fruticosa L. var. linearis (Michx.) S. Wats. 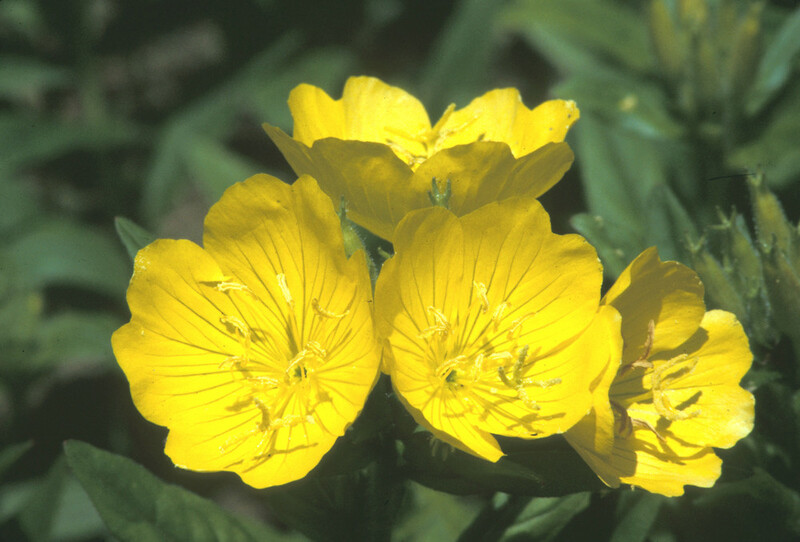 Oenothera fruticosa L. var. microcarpa Fern. 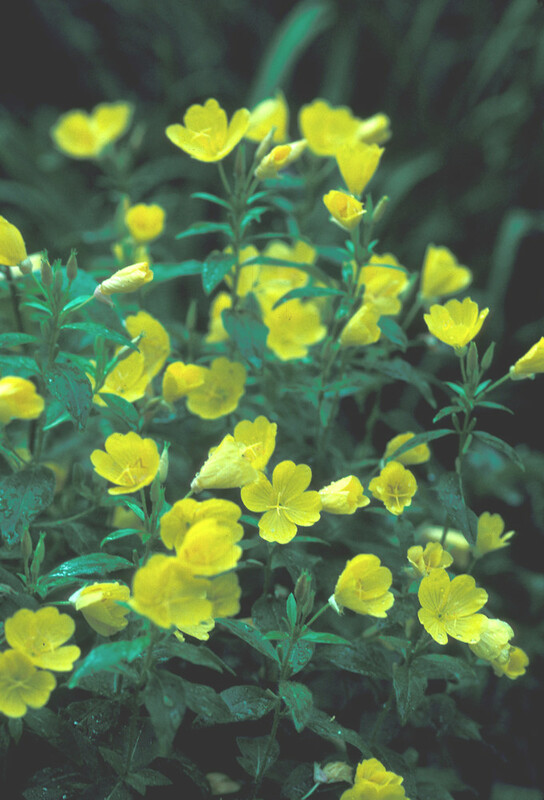 Subspecies fruticosa is known from CT, MA; also reported from RI by George (1992), but specimens are unknown. 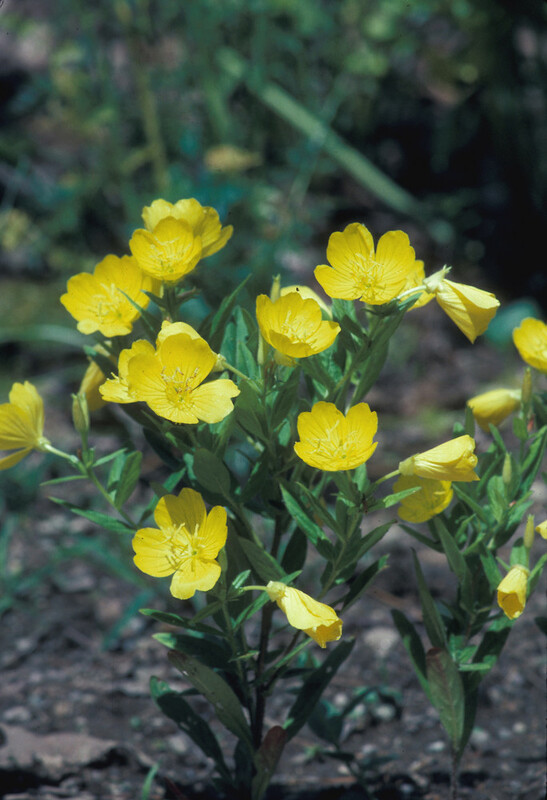 Subspecies glauca is known from CT, MA, ME, NH, RI. 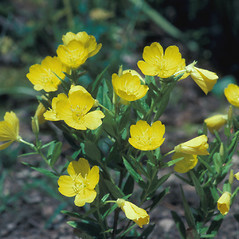 Subspecies glauca is more often found in dry, open, sandy, inland habitats compared with subspecies fruticosa, which is commonly found in tidal habitats. 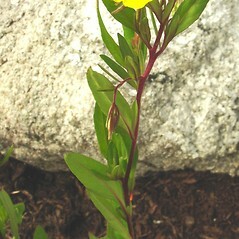 narrow-leaved evening-primrose. 4a. Kneiffia arenicola Small; K. fruticosa (L.) Raimann; K. linearis (Michx.) 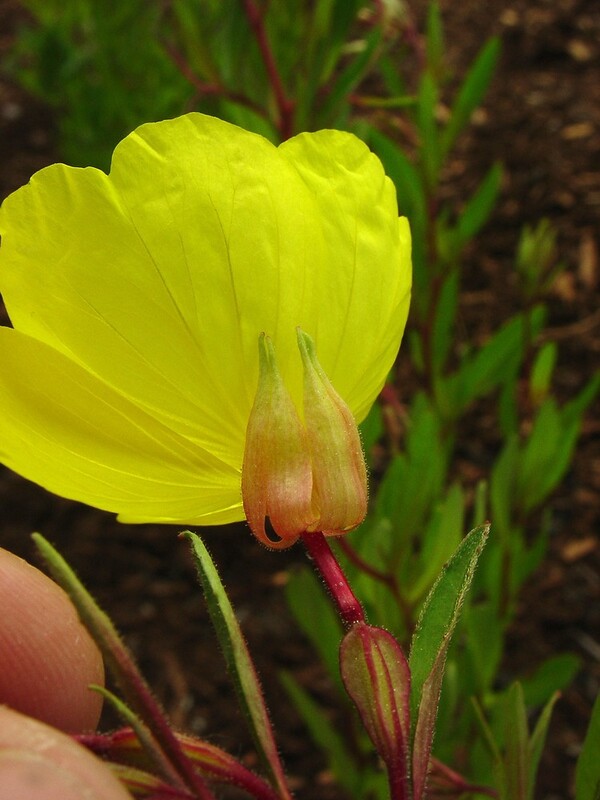 Spach; Oenothera arenicola (Small) Coker; O. fruticosa L. var. eamesii (B.L. Robins.) Blake; O. fruticosa L. var. linearis (Michx.) S. Wats. ; O. fruticosa L. var. microcarpa Fern. ; O. tetragona Roth var. brevistipata (Pennell) Munz; O. tetragona Roth var. longistipata (Pennell) Munz; O. tetragona Roth var. riparia (Nutt.) Munz; O. tetragona Roth var. velutina (Pennell) Munz; 4b. Kneiffia glauca (Michx.) 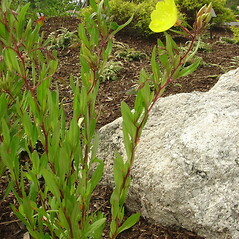 Spach; K. latifolia Rydb. 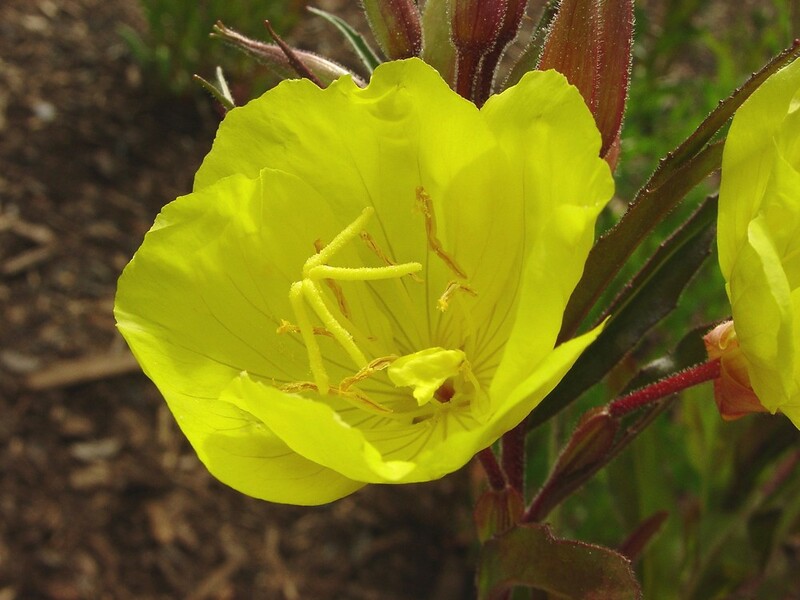 ; K. tetragona (Roth) Pennell; Oenothera tetragona Roth; O. tetragona Roth ssp. glauca (Michx.) Munz; O. tetragona Roth var. hybrida (Michx.) Fern. ; O. tetragona Roth var. 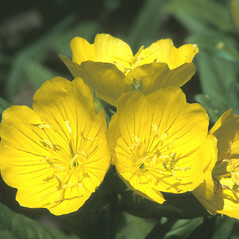 latifolia (Rydb.) Fern. • CT, MA, ME, NH, RI. Edges and high areas in saline marshes, shores of brackish ponds, brackish-tidal river shores, fields, roadsides, meadows, eskers, waste areas.